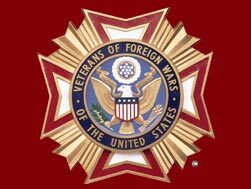 The 2013 Veterans of Foreign Wars MN State Commanders project is “Ride for Healing”. The State Commander Lee Ulferts is a Vietnam veteran, and has chosen this as a fund raising event for the Vietnam Education Center in Washington DC. Vietnam veterans will be recognized throughout the state. It is his passion and belief the outstate Minnesota Vietnam veterans’ have never had the chance to be recognized and honored for their service. This will be an attempt to provide them with that honor and to welcome them home and give them a chance for the healing of all the hurts they have carried these many years. It will also give the public a chance to contribute to this cause in their honor as the caravan travels through the state. The weeklong event will begin on Memorial Day, May 27, 2013 at the Minnesota State Capital and culminate on June 1, 2013 in the Brainerd Lake Area Minnesota with a two day rally. Four teams of motorcycle riders will depart the capital and make their way to the four corners of the state and then travel to Brainerd Minnesota with stops at VFW Posts along the way to hold community events to honor and say a special thank you to the Vietnam Veterans within that community. Funds will be raised through registration for the parade of motorcycle, classic cars, donations and corporate sponsors. For many, the Vietnam War is part of the distant past. More than 40 percent of the four million visitors to The Wall each year are too young to remember what had been the longest war in America. To them, the long list of names etched in the smooth black granite is faceless; they have no context, no connection. The Education Center at The Wall will be a place that touches the heart and teaches the mind, enhancing the Memorial experience for people of all ages and walks of life, taking them on a journey through layers of storytelling and history. It will be a place to honor those who died and all who served, a place where the names on The Wall become visible, where the warrior is regarded separately from the war and where visitors leave yearning to learn more. It will be inspirational, educational and uplifting, a place for healing and reflection. Through interactive exhibits and primary source materials, visitors will be able to better understand the profound impact the Vietnam War had on their family members, hometowns, communities and the nation. The Center will evoke contemplation of the importance of The Wall and the role it continues to play in healing the deep physical, emotional and societal wounds left by the war.